Athletic Director Jeremy Foley said red flags were raised a year ago over McMahon. After six seasons, the Coach McMahon era is over at Florida. Gator Country is in Hoover, Alabama! Tune in for continuous updates.. 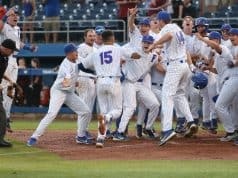 The Gator baseball team will begin the 2007 SEC tourney vs. South Carolina on May 23rd. Holy Toledo! Tommy throws 93 mph! 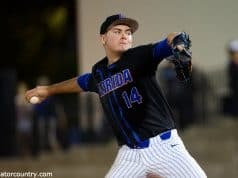 Florida recruit Tommy Toledo will bring some serious heat to Gainesville. 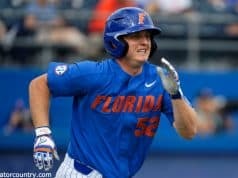 The Gator bats roared to life behind two grand slams and locked down a SEC tourney trip. Tennessee shuts down LaPorta's bat and end up costing the Gators a close win. 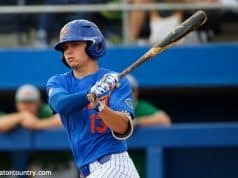 New NCAA rules changes in baseball will likely benefit the sport. The Orlando Boone product is a top flight pitcher and a power hitter for average with the bat in his hands. LSU managed to escape from the Gators with a win today to avert a sweep. 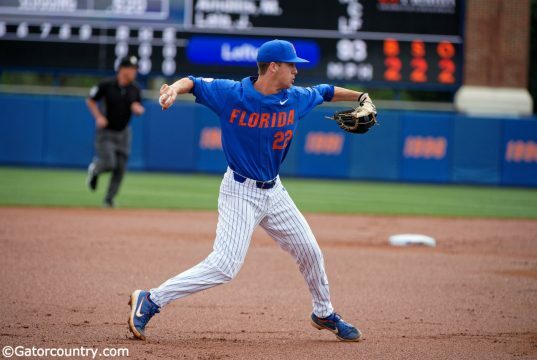 North Florida used a seven run first inning and 16 hits to down the Gators. The Gators attempted to rally to eke out a win, but the Tide held 'em off.